4 delightful shortbread treats for the one you love or perfect for Mothering Sunday too (and all occasions in-between)! 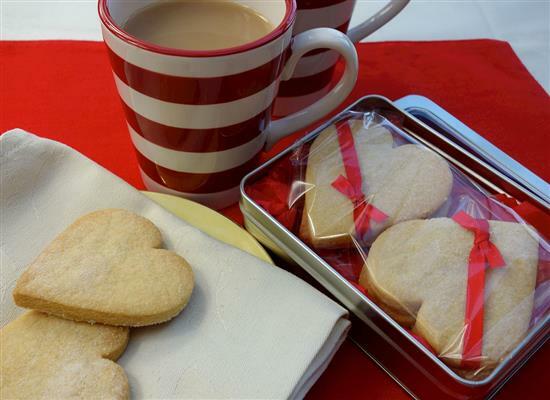 Put the kettle on and enjoy a biscuit with a cuppa - delicious! A postable tin which we'll send out first class with your message (the price includes post). Sorry, not suitable for those with a gluten allergy. Contains wheatflour, butter, sugar, salt. Keep in the tin or wrapped. Use within 3 weeks. SHORTBREAD: Plain wheat flour, butter (milk), caster sugar, salt.